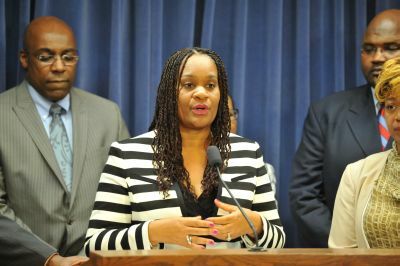 SPRINGFIELD – In response to the forthcoming legislation seeking to allow for the bankruptcy and government takeover of the city of Chicago and Chicago Public Schools being pushed by the governor and Republican leaders, Senate Assistant Majority Leader Kimberly A. Lightford released the following statement. “The Republican administration has gone too far, and the governor has shirked his real duties to the people. If he wants so desperately to restructure Chicago Public Schools, he should start by restructuring the systemic prejudice that continues to permeate our children’s schools. SPRINGFIELD – On Jan.1, 2016, students with developmental disabilities will find it easier to get the help they and their families need. 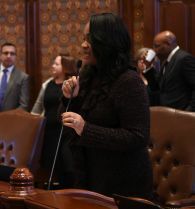 Sponsored by Assistant Majority Leader Kimberly A. Lightford (D – Maywood), a new law that goes into effect the first of the year requires the state to train public school case workers to register disabled students with PUNS (Prioritization or Urgency of Need for Services) database. The database records information about individuals with developmental disabilities who are potentially in need of services. 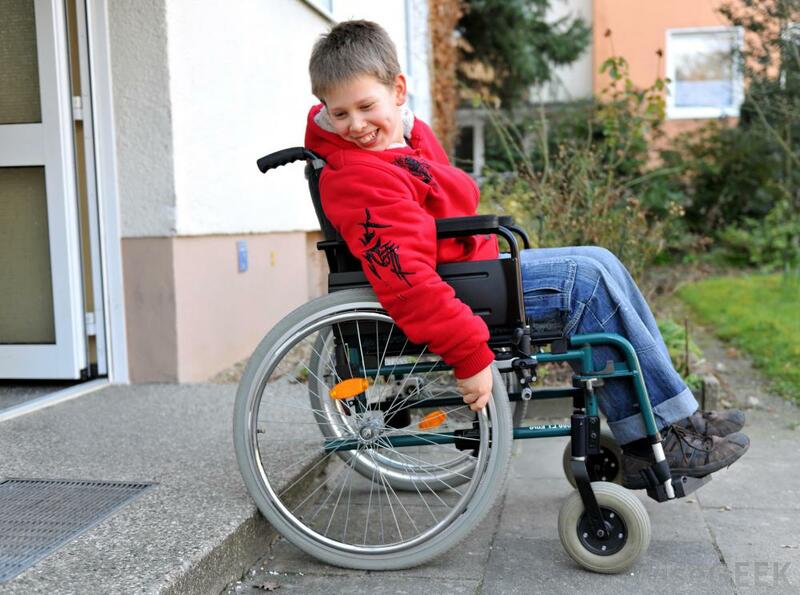 Experts have argued that due to a lack of awareness, PUNS is under-utilized, and therefore, people with developmental disabilities across the state are not getting the services they need. The law will ensure students in Illinois public schools and parents have the information they need to register with PUNS if they so choose. DHS and ISBE would develop a program for and conduct the training of public school employees so they are as prepared as possible to provide these students and their families with the information and advice they need. The law also requires ISBE to inform parents and guardians about updates with the PUNS waiting list through the school districts. In addition, the Illinois Senate Democratic Caucus has a list on its website of 16 pieces of the legislation that will become effective Jan 1. Thousands of police body cameras will hit the streets in the new year under major reforms sponsored by Senate Democrats in an effort to increase public accountability and confidence in the wake of scandals and unrest. The new law, Senate Bill 1304, takes effect Jan. 1 and sets the official parameters for the use of police body cameras, increases training and reporting requirements for officers and clarifies the public’s right to access the videos. 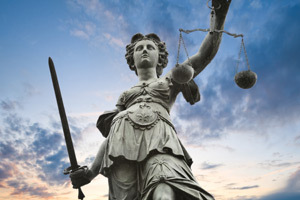 It is one of several key criminal and social justice reforms enacted by Senate Democrats in 2015, covering everything from protecting students’ educational rights to common-sense consumer laws aiding women trying to escape domestic violence. “We’ve made great strides this year in defending the public’s right to be properly protected, with justice for all,” said State Senator Kwame Raoul, a Hyde Park Democrat who emerged as one of the state’s leading reform advocates. Body cam laws have drawn the most attention, and recent events illustrate the power of such videos, or the lack of them. For instance, the release of a more than year-old police dash cam video of a Chicago officer shooting a 17-year-old clearly contradicted the official report, prompting a federal investigation, murder charges against the officer and the dismissal of Chicago’s top cop. Before that, the state was rocked by the apparent murder of a “hero” officer in Fox Lake. A massive manhunt for the killers ensued before it was determined the officer killed himself and staged it to look like a murder to cover up his own crimes. Had the department utilized body cams, the truth might have been determined much sooner. A new state law hitting the books requires schools across the state to overhaul their suspension and expulsion policies in an effort to make sure schools aren’t trying to solve problems by getting rid of them. School records show that minorities and economically at-risk students are removed from the educational setting at exceedingly disproportionate rates, which leads to students falling behind. “In many cases, these are students who need an education the most. A strong education is the only chance they have at improving their lives. Cancelling a child’s opportunity to learn should be a last resort, not the automatic response,” said State Senator Kimberly A. Lightford, who led the reform efforts. Under SB 100, out-of-school suspensions longer than 3 days, expulsions and disciplinary removals to alternative schools are reserved for situations when a student’s presence is a safety threat or substantially disrupts the learning environment. Schools are required to have new policies in place by Sept. 15, 2016. Too often, women escaping violent relationships flee with next to nothing. Trying to start over with few financial resources is all but impossible. A new state law seeks to help by directing power companies and other utilities to waive deposit fees for 60 days for victims of domestic violence who flee their abusers. The law, SB 1645, takes effect Jan. 1, 2016. “Giving victims additional time to get their financial affairs in order removes one of the largest hurdles from them moving out on their own. Hopefully, now these victims will be able to move to a safe place faster than ever before,” said State Senator Steve Stadelman, who sponsored the legislation.